Luke Snyder Music: You Dummy! Your Hi-Hats Are Upside Down! I remember when I bought this particular set of hi-hats... I walked into the drum store and took a pair of sticks and smacked them around a little bit. I was pretty impressed, they sounded great! Very bright, with a lot of stick definition. I started talking to the salesperson to find out how much they were going to cost me, when I noticed that the cymbal that was on top was marked "Hi-Hat Bottom." I chuckled a little bit to myself, and mentioned it to the salesperson, "Hey man, you've got your hats on upside down there." His response set me back a bit, "I know, they sound a lot better that way." Somehow, I had never before thought about experimenting with the hi-hats by switching the top and bottom cymbals! Its just one of those little tricks of the trade that can be easy to miss. In case you don't know, the bottom hi-hat cymbal is generally thicker, and the top one is thinner. By switching them, you can change the way the hats sound and respond, sometimes drastically! With the thinner hat on top, the hats will be more responsive and open up a little easier, and will have a little more wash. Putting the thicker bottom hat onto the top will result in a faster, more focused sound. With this particular pair of Paiste Prototypes, I really do think they sound better in most settings with the bottom hat on top. So go over to your drum set, and flip your hi-hats over! You've got nothing to lose, and it only takes 30 seconds, but it can seem like a whole new set of hi-hats. Even beyond that, why not try using other cymbals is hats? Grab a couple 16" crashes, and see what they sound like! If you flip your hats over and fall in love with the new sound, make sure to leave a comment! Haha i have my top on the bottom, but a 14 inch crash on top. Thats the way to do it! What kind of hat and crash are they? 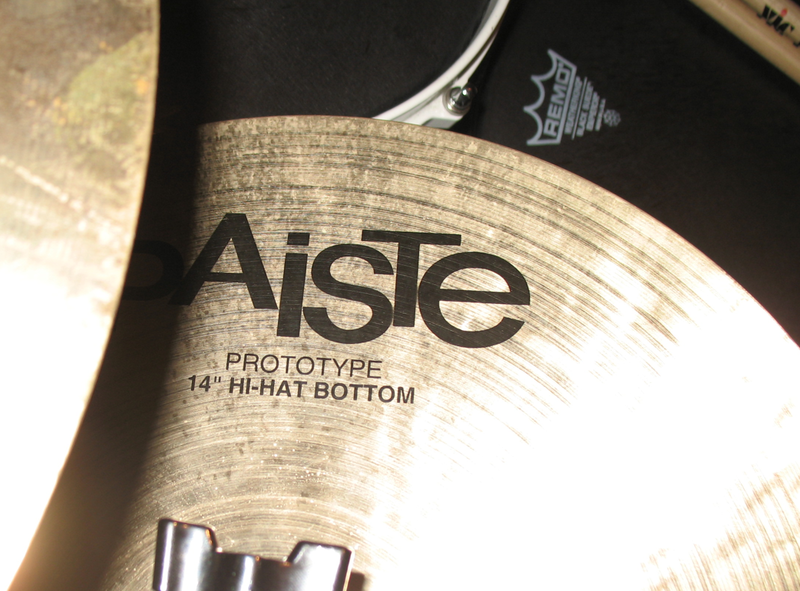 Quick Beats are killer, I'm considering drilling holes in the bottom cymbal of my Paiste Prototype hats!